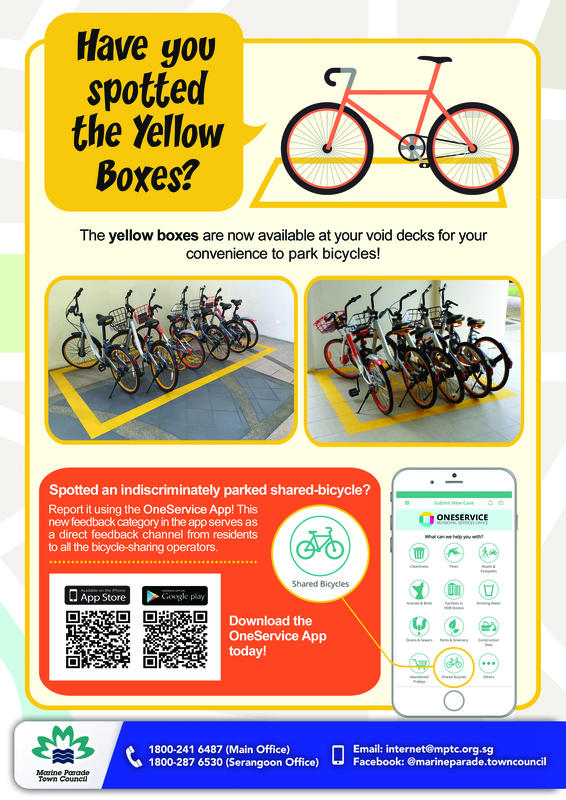 The yellow boxes are now available at your void decks for your convenience to park bicycles! If you spot a shared-bicycle parked indiscriminately, report it using the OneService App. This new feedback category in the app serves as a direct feedback channel from residents to all the bicycle-sharing operators. iPhone users may download the OneService App here. Android users may download the OneService App here.